The term barley wine was first used to describe Bass No. 1 in 1903. But the roots of this style are much older than that and reach back to the days of parti-gyle brewing. The first runnings of this brewing method were often big and flavorful. 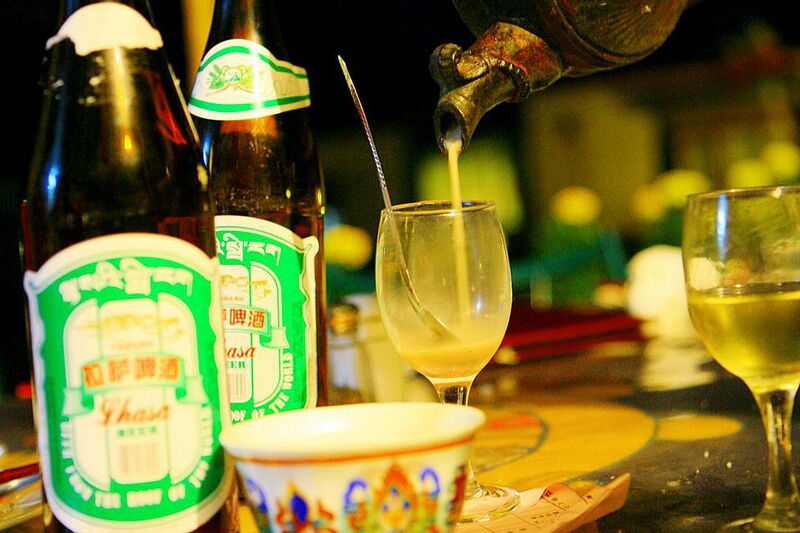 These brews were prized and reserved for special occasions and special people. Today barley wine production makes use of modern brewing techniques to give us a wide variety of big, complex ales that can be aged like fine red wine. "1993 was a very good year." Not something that you'd expect to hear about beer but this style can be and often is vintaged. So much is packed into barley wine that it usually takes a few years to mellow out to its best. Like a big red wine, barley wine has huge amounts of its component parts. It contains lots of alcohol, malt flavor, hops aroma and bitterness and it takes time for these elements to blend into the full, mellow, complex drink that this style is made to be. It might be a bit surprising to learn that there is very little specialty grains in a typical barley wine recipe. It is brewed mostly from pale malt, the same stuff used to make pale ale. The full flavor and rich color come from the amount of grain (often 2x pale ale and 2.5X Pilsner) that's crammed into it and the length of the boil which caramelizes a lot of the sugars, deepening the color and the flavor. It is also heavily hopped to balance, often up to and over 100 IBUs! Barley wine is another example of the extreme drift of a style in America from its English roots. British barley wines are very malty with notes of alcohol and significant but not overwhelming native hops for balance. American versions are just as big in malt flavor and alcohol but there is also a monstrous serving of citrusy American hops so the overwhelming impression is of very bitter hoppiness, especially in younger brews. In many ways barley wine is the cognac of the beer world. It can be successful paired but it is truly meant to be savored alone.